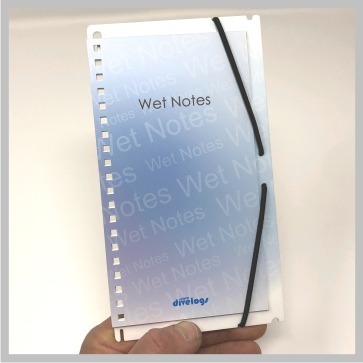 Commonly known as wet notes, we have re-invented them as a compact, waterproof, slate and refill system, with a patent pending reusable spiral binder for fast and easy changes even from dive to dive. We have a range of specially designed waterproof refills for any kind of scuba diving - Recreational, Instructors, Technical, Wreck, Explorer Divers, and worldwide fish identification pages. At the core is a reusable spiral binder integrated into a feature rich slate base that are also compatible with existing wet notes folders. Each binder is built on your choice of a special laser cut 3mm or 5mm dive slate - with space for dive notes on the back. 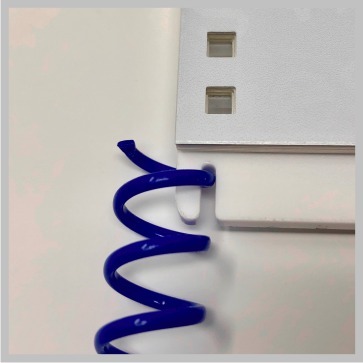 Bungee retainers help to keep your pages safe and secure along with our strong but flexible PVC cover page. All models come with our standard re-usable spiral binder system and a selection of 10 waterproof dive log pages to get you started. The no pencil version is great for integration with existing cordura wet notes folders or a compact way to take reference info with you underwater. Or use our integrated pencil version for a compact self contained system. If you want to write underwater or take notes with you, we have you covered. We've created a new high contrast design template ideal for underwater use, and a range of designs for a range of diving needs. Take recreational dive notes at the right time - while you are diving, or take Scuba Instructor training notes with you and make notes of your students progress. Technical dive profile plans and detailed dive notes during the dive are possible, as are wreck exploration notes and map drawing underwater. Our waterproof refills are printed on heavyweight 170 micron polyester that is tear proof and ready for hard use. Designed to handle your changing diver needs, even from dive to dive. Mix and match from our range of refills, buy just the ones you need and make sure you only take what is necessary for your next dive. No fuss, our special reusable spiral binder system makes changing any waterproof dive log refills fast and easy. 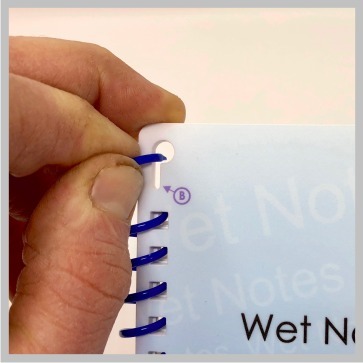 Every component in our wet notes system is designed to be multi-use, even the pages. A core part of our approach to designing new products is to reduce or eliminate the single use of plastics. 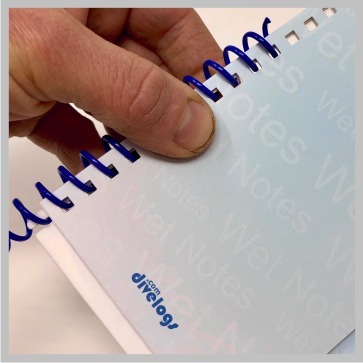 Our patent pending reusable spiral binder means you just buy the refill pages you need - you do not have to throw away unwanted pages or hard plastic backing boards. Even the pages are multi-use - make sure you use a pencil to take your notes underwater and use a common eraser to get them ready for the next dive. High capacity spiral binders, different colours, underwater placeholders, existing folder adaptors. Our standard spiral binder can hold a maximum of 20 pages, but swap it out for our high capacity version and extend your binder to a maximum of 40 pages. 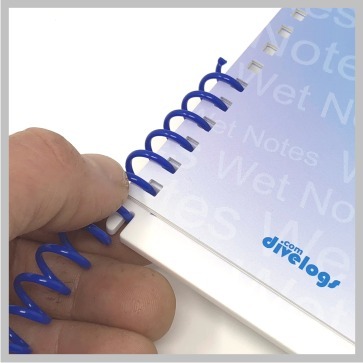 Change the spiral binder colour and stand out or make it easy to identify your underwater dive log. Add a fast change placeholder to get quick access to your important pages underwater. Have an existing wet notes cordura wallet? Use our adaptor and bring our advanced waterproof refill system into your favourite folder.